Last week was so much fun - I loved reading even single comment from everyone who stopped by! Unity has been so kind to offer up 2 grab bags of goodies to lovely people who visited my blog each day - they really are so kind! 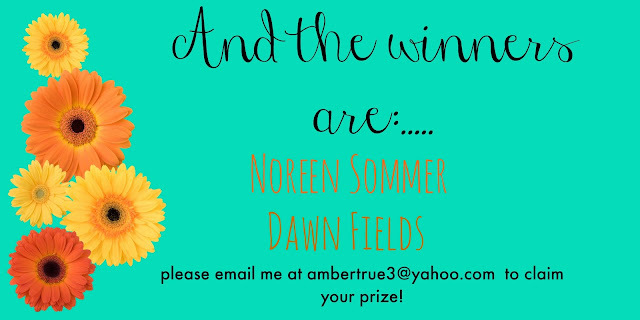 Noreen Sommer and Dawn Fields were the lucky winners - please email me with your mailing specifics, ladies! Thank you to everyone who left some love! I hope you follow along and say hello from time to time when I post some more crafty goodness! Hey Amber! Thank you so much! I thoroughly enjoyed your daily creations last week. Your work is inspiring!